It's tea time. Invite your stuffed animals and dolls to a tea party, and serve them using a tea set you design. There's service for four This 17 piece ceramic tea set comes with four cups, four saucers, four plates, a teapot, a creamer, and a sugar bowl. 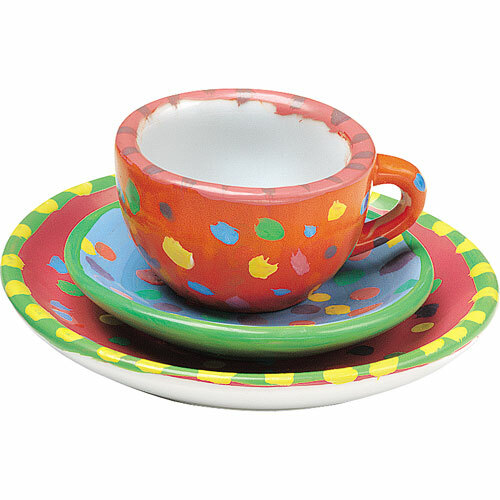 Paint your tea set with any pattern or design you like using ceramic paint. 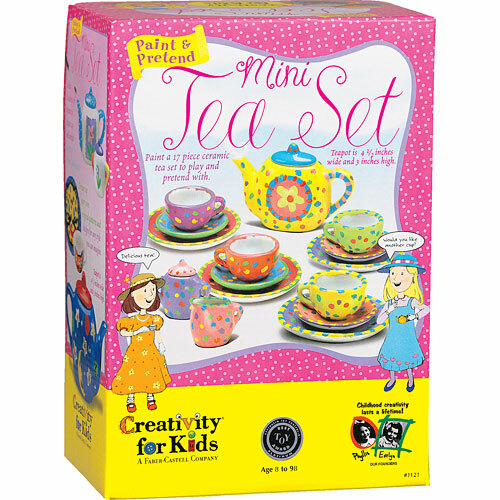 A tea party is a timeless activity enjoyed by both children and adults. Older girls will enjoy painting this miniature set as a collectable for their room or as an accessory for their doll collection. Measures approximately: 4.25 x 7.50 x 11.00 inches..